Reviewing the current discourse surrounding the use of social networks by Russia, one cannot help but have a sense of déjà vu, as the tried and true Cold War tactics of the Soviet Union percolate to the forefront. Specifically, how the Russian information war tactics aim to “weaken adversaries’ social cohesion and political systems,” according to a report by the Council on Foreign Relations (CFR). The CFR report highlights one important factor: The Russian government already believes the country is in a state of conflict with the United States and the rest of the west, and the domain where this conflict will play out is the internet. How Is This Déjà Vu? Cyber-enabled disinformation remains alive and well, as CFR describes how malicious actors are able to show contradictory messages to different groups of users to play on existing tensions. He also explained how the old KGB used a four-step formula to achieve its goals: Demoralization, Destabilization, Insurgency, and Normalization. The chart below Bezmenov used as part of his lectures on KGB active measures and destabilization efforts. 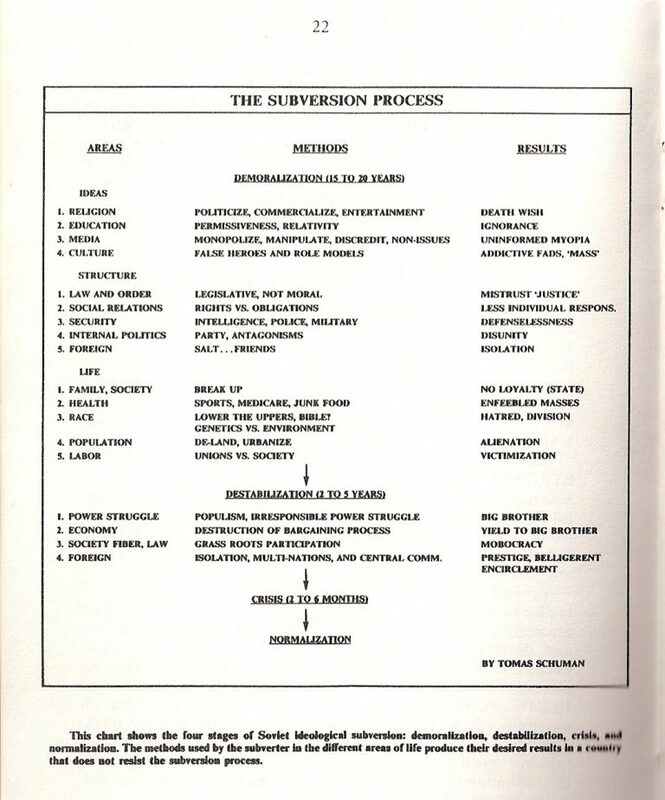 The chart shows the various steps in the subversion process. Then there’s Valdimir Posner, arguably the most adroit Soviet propagandist both today and during the later years of the Cold War. Posner, a French-born Russian-American journalist attended MGU (Moscow State University), graduating in 1958. His native tri-lingual fluency in Russian, French and English and his natural journalistic flair opened doors for Posner. 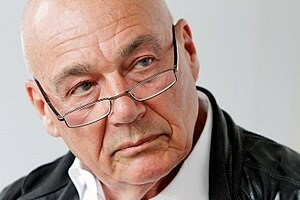 And his first job was at Novosti, the KGB-controlled news agency in Moscow. For the next 40 years, he would be the voice of Moscow to many Americans. I had the pleasure of meeting Posner during many social events and found him totally disarming and more American than me. All the while knowing full well that he was almost single-handedly shaping the view of the Soviet Union for the average American. Posner admitted in a 1999 interview on NPR’s the Red Files that propaganda certainly had affected his life and that was what he did. While Posner said at the time he would not return to propaganda, he wasn’t finished. Fast forward to June 2017: Posner is a guest on ITV’s Good Morning Britain, where he is juxtaposed with former CIA and NSA Director General Michael Hayden discussing Russia’s influence and interference of the U.S. elections. “Let me compliment the Russians, this was a magnificent covert influence campaign,” Hayden continued. 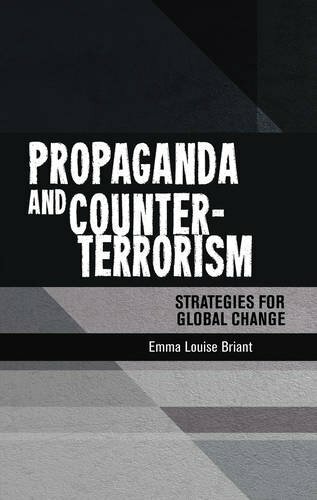 What is clear is that to defend against Russian active measures, educating the populace is essential. One place to look is at the steps taken recently in France and Germany. Both countries took action to blunt the Russian disinformation machine. France used a media blackout during the presidential election. In Germany, the Russian attempt to foment anti-immigration discord with a fake story about a Russian-German girl was thwarted when all branches of the German government unified to debunk the story. As the Russian active measures machine chugs along, we can either educate ourselves or continue to fall victim. The choice is ours.